Are you looking for the best home security camera system in Australia right now? With the number of products available today, it becomes difficult to know which of those is the perfect fit for your needs. 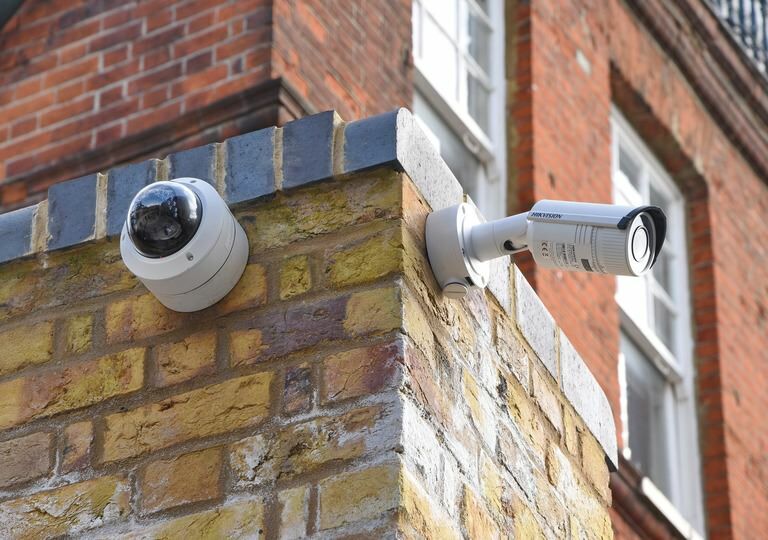 The best way to make the shopping experience easier is to identify the exact function of the security camera system that you need. The common behaviour of intruders before they attack is to roam around the house to familiarise themselves with the owner’s regular routine. Just the thought of it is terrifying. But don’t be because you can now do something to scare away potential intruders. This is by installing a reliable outdoor home security camera system. The best home security camera system in Australia for outdoors is manufactured by Ring. The company, Ring, has been known for delivering good quality video doorbell cameras. But in recent years, it is becoming popular as well for their home security cameras. In Australia, Ring Spotlight Cam becomes the best options. One of the reasons it’s one of the best options is because of its two-way talk with noise cancellation feature. Some home security camera system doesn’t have audio capability. But with the help of this feature, you can hear and speak to every person that stands on your property clearly. This feature can be used by using your smartphone (iOS and Android), and your voice will be transmitted in the built-in speakers and microphone of this home security camera. The advantage of the Ring Spotlight cam is its versatility of option – wireless and wired. The Ring Spotlight cam wireless is powered by a battery that has a lifespan of 6 to 12 months. The lifespan may decrease depending on the size and amount of motions it captures every day. While for its charging time, you can choose to charge it for 5 to 10 hours using a micro-USB cable or solar panel. The Spotlight wireless cam is ideal to use if you don’t have an outdoor power source. But if you have one, you can always choose the Ring Spotlight cam wired. The difference between the two is the brightness and advanced motion detection. The wireless has 300 lumens brightness, while the wired has 375 lumens. Lastly, advanced motion detection is only available on wired. The only disadvantage that Ring Spotlight Cam is its cost, it can be costly compared to other home security camera system. Related Article: What to look for in home security systems? The house contains all your most valuable possessions. To ensure its safety, you must select the best home security camera system in Australia that is designed for indoors. In Australia, Nest Cam Indoor is considered the best option. Nest described this security camera system as a plug-in-and-go. Once you set it up, you can enjoy monitoring and recording your property 24/7 without the constant checking of its battery status. It also comes with Nest Aware feature. This feature will send you alerts every time it detects an unfamiliar face inside your house. The advantage of Nest Cam indoor is it can also recognise the voice of a person and pet sounds. This becomes possible because its security camera is equipped with a speaker and microphone. The microphone can pick up clear sounds for up to 20 feet away from it. Also, it can be installed on all types of surfaces (e.g. wall, table, etc.). It has a ‘Create Activity Zones’ where you can set important areas of the house and customise a special alert. This is commonly used for windows and doors. It has a 24/7 Live video with HD resolution (1080p), night vision capability, and 130° wide-angle field view. You can watch the Live video on your smartphone by downloading the app. Aside from watching, you can create a family account on the app, share the Live video, enhance and zoom. It has cloud storage where it safely saves all the video history. The only disadvantage of Nest Cam Indoor is it doesn’t have a tilt and pan capability, and the Nest Aware requires a monthly subscription ranging from $7 to $30. With the increase in crime rates, a home security camera system becomes a good investment in every home. Fortunately, as the technology evolves, a home security system now comes in various sizes and is equipped with reliable features to make it more efficient. The Ring and Nest are just two of the brands in the market today. You can always explore more to see which home security camera system best fits your home. If you want to understand more about it, you can always seek advice from a professional home security specialist.